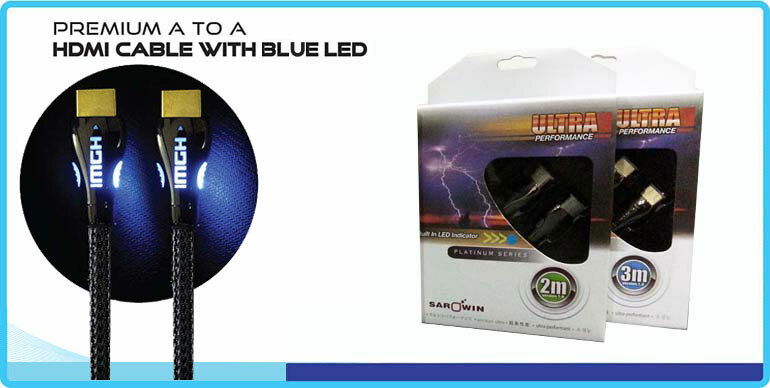 SAROWIN's LED Indicator HDMI Cable with Ethernet brings your HDTV to life. rich picture quality and pure digital surround sound™ all in a single cable. The built-in Ethernet channel allows all Internet-enabled devices to communicate through your TV to the Internet while the Audio Return Channel enables seamless communication between your TV and receiver.